- To understand how living like Imam Husayn shows in having beautiful manners that shine brightly to everyone around us. The names Hassan and Husayn come from the word hasana which means to be beautiful, to be good. Allah sent us Imams as examples to help us in our special mission on Earth; to beautify ourselves and everything around us by filling the world with good in everything we say and do. By going to mosque and listening to lectures, we learn about the Qur’an and Ahlulbayt. We are reminded of what we believe in, and how we should behave everyday. 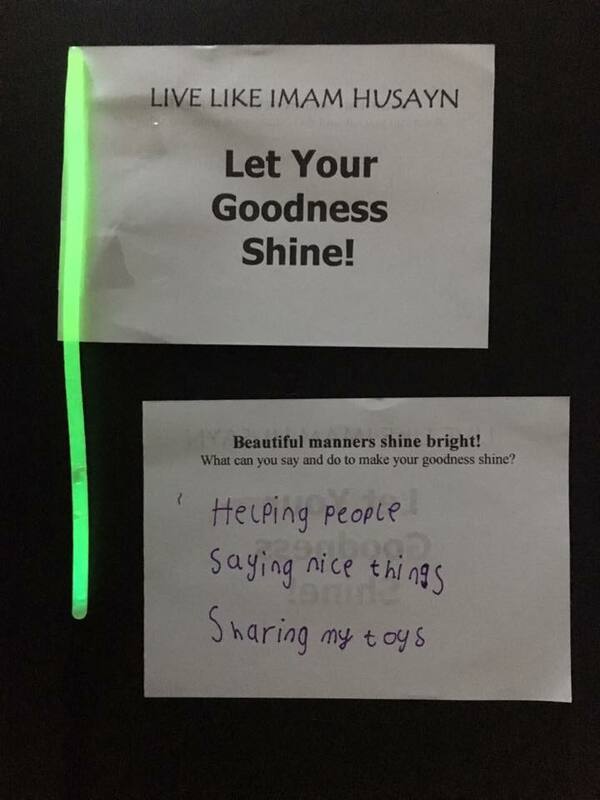 Living like Imam Husayn shows in having beautiful manners that shine brightly to everyone around us. When Imam Mahdi (atf) reappears, he will choose helpers who are shining brightest! 1. Hold up a dull, unactivated glow stick. Talk about what things we can say and do to make our goodness shine. 2. 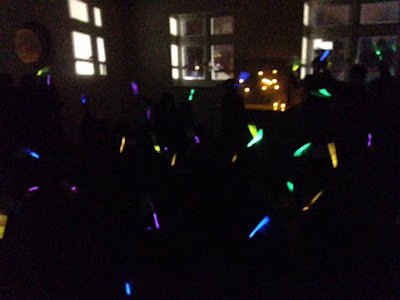 As each child offers a suggestion, make a small break in the stick until eventually it glows all over. 3. Have the children fill out 3 ways they can make their manners shine bright. 5. Switch off the lights and wave flags proudly while chanting 'Labbayk Ya Husayn'.